Bottlescape I is an "Alice in Wonderland" painting. In your mind you can walk right in this bright blue and deep red world and look at the glasses and honey pot. This whimsical magical experience is an oil pastel painting. You will experience peace, serenity and healing as you look at Diane’s work. 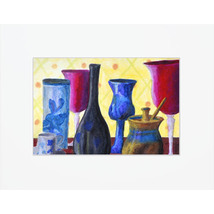 These still life goblets, vases, cup and saucer are part of our every day use. Their colorful purple and crimson reds, aqua and royal blues, creamy beige yellows and golden browns invite you into the forest of vessels. Bring this oasis into your home for yourself and to share with others. 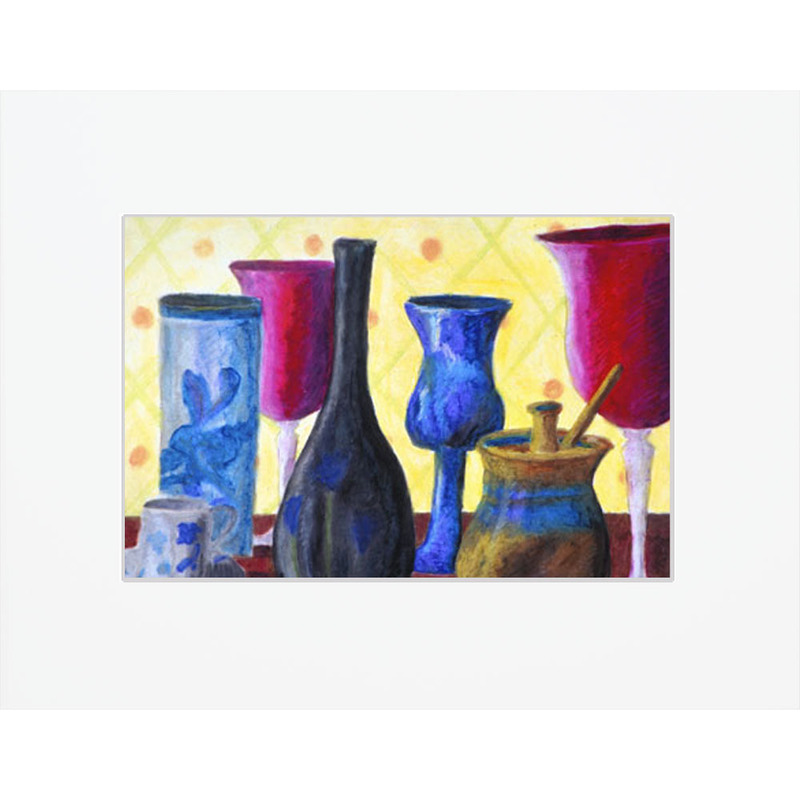 This reproduction of Diane’s original painting is printed on archival paper and inks: a giclée. 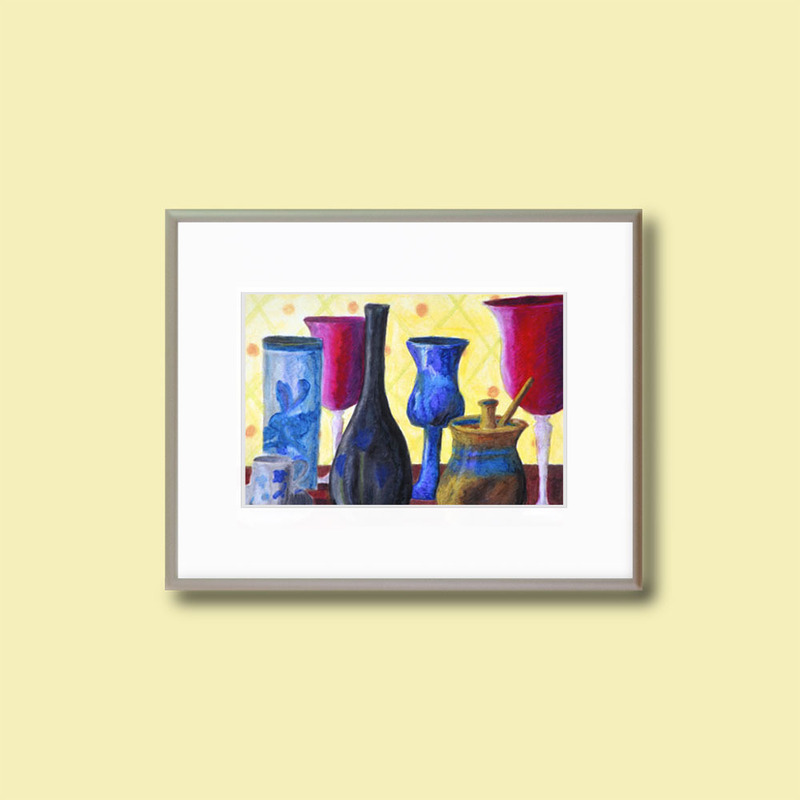 This fine art print is rated to last a lifetime. This is a matted 8x10" print with an 11x14" German Silver frame. Your treasure is carefully packaged. This is an unlimited run, open edition, fine art print. 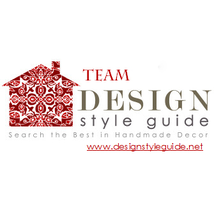 This image is original and copyright protected. This image may not be reproduced, saved, altered or used in any way without written permission of the artist. This painting is available as a 5x7” Fine Art Card, 2.5x3.5” Art Card, ACEO, 8x10” or 11x14” unmatted, matted or framed fine art print. Diane signs this art on the back. The other views are to show you samples so you can see what you are purchasing. Diane Clancy creates vibrant paintings that feature color and vision to inspire and uplift people. Says Diane, "I feel very blessed to have this opportunity to express myself through painting. I love that people say my artwork enhances their lives." 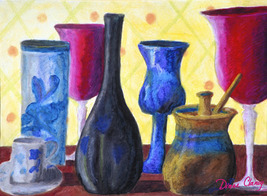 Diane’s use of color is her unifying theme across a wide variety of contemporary styles and mediums. Diane has many collectors from all walks of life including artists, animal lovers, military personnel, business people and spiritual people. Different generations, glbt, farmers, doctors, scientists, teachers, factory workers and many others all love Diane's work. Diane, a Greenfield, MA artist, creates radiantly colorful paintings in digital and traditional mediums. She creates goddess images, paintings bordering between abstract and realism, and magical fun images. It’s all for you to discover here! Collectors have called her work poetic, whimsical, celestial, peaceful, serene, healing, fun, new age and thought provoking. Diane’s work ranges from goddess and visionary images to creative and unusual figures and landscapes. She has a line of imaginative fanciful animal images. Diane has a stunning series of bubblescapes that will amaze you. 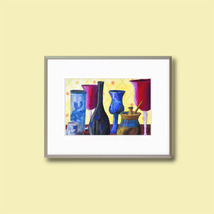 Diane’s contemporary art is available as giclée reproductions, selected originals, and for licensing. Diane is a member of WWAO (Worldwide Women Artists Online), an international collective of women artists showing and selling our original work online. 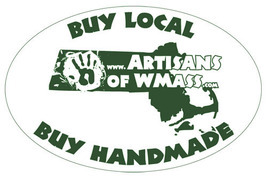 You can be a fan of Diane at www.Facebook.com/DianeClancyArt and follow her at www.Twitter.com/DianeClancy. Her paintings can be purchased on merchandise at www.CafePress.com/DianeClancy, www.Redbubble.com/people/DianeClancy and www.Zazzle.com/DianeClancyArt*. You can learn more about Diane and her artwork - please visit www.DianeClancy.com and www.DianeClancy.com/blog.